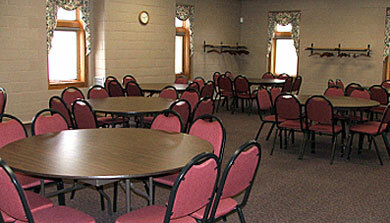 The Varian room is for small gatherings up to 56 people. For those who rent the whole building for their wedding, this is the bridal changing room. It is ideal for small business events, breakout meeting room, and intimate social events/parties. Capacity: Theater - 80 persons; Round - 56 persons; Classroom - 32 persons; Conference (U-shaped) - 24 persons. Audio/Visual: Sound system with 5-disk CD/DVD player; microphones; Flip charts, dry erase boards and easels available upon request. Food Service: Adjacent kitchenette; Food service available.